Tasted at Bordeaux Index annual 10-year on tasting from an ex-château bottle. 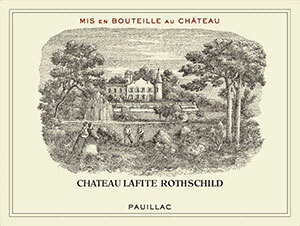 At ten years of age, the Lafite-Rothschild 2004 is beginning to show more intensity on the nose compared to the Mouton 2004, with strong graphite and pencil box aromas. This could only be a Pauillac. The palate is medium-bodied with precise black fruit, graphite and spice aromas. There is very good depth and harmony towards the finish, real weight in the mouth with a long persistent finish of red berry fruit laced with graphite. This is very classy - as usual. Tasted March 2014. Dark red, pale bricking rim; still relatively closed, but with a pure red fruit core and still a gentle new wood presence; very nicely balanced moderately concentrated Lafite, fresh and still gently tannic; ripe, long and subtle in flavor, with a clear Cabernet complexity, llightly gravelly in aroma, and with fine aromatic length. Accesible already, better in five years.